Request from Manager - Donal Riordan. All panel members of the Cork AUL squad are requested to be at Douglas hall grounds this coming Wednesday night for a chalenge game against Leeside at 7.30pm sharp. Daly Industrial Supplies U17 Premier League: Mayfield United 2 Springfield Ramblers 1. FAI Umbro U17 Cup fourth round: Newtown United 2 Midleton 1. FAI Umbro Youth Cup fourth round: Castleview 4 Leeds 1. Daly Industrial Supplies U17 Premier League: Carrigaline United 4 Rockmount 1. With 33 games off through the terrible weather, just 3 games survived. The only game to survive the afternoon because of the attrocious weather conditions was in the GACA Grounds down in Glanmire where Blarney Street Athletic sufferred a 1-0 home defeat at the hands of Greenwood A in their Premier clash. At Moneygourney tonight, Douglas Hall will play host to Coachford A in the 4th round of the AOH Cup at 7.30pm. Hibernians Coachford Mar 95 R239, a photo by CorkBilly on Flickr. 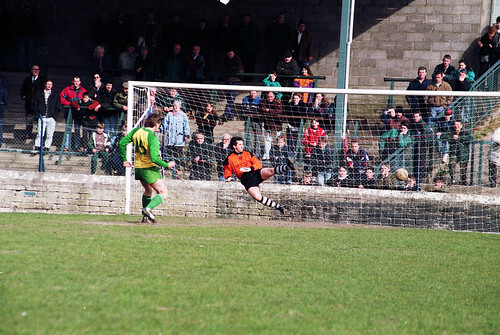 Pat McAuliffe (H) scores penalty v Michael Murphy (Coachford) during 1995 FAI Junior Cup area final at Turner's Cross. For more pics from this time just click on image. All panel members of the Cork AUL squad are requested to be at Douglas hall grounds this coming Wednesday night for a chalenge game against Cork City U19s at 7.30 sharp. 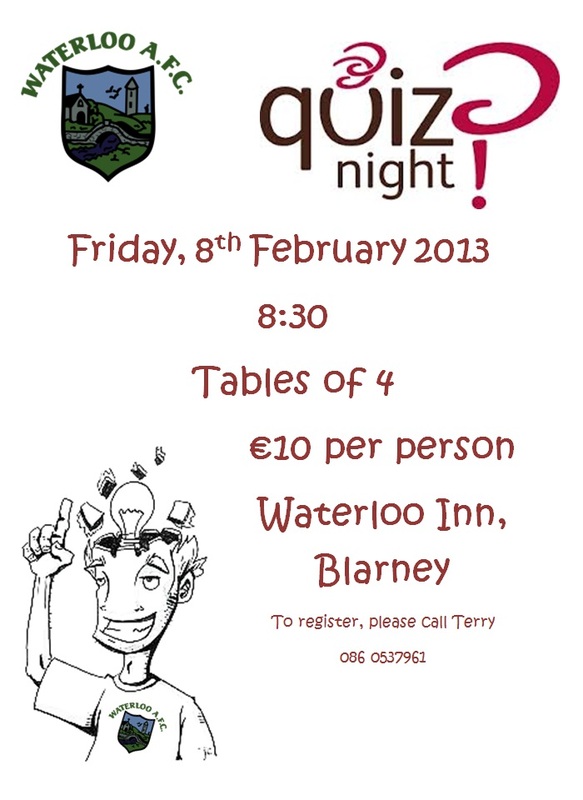 Waterloo FC is holding a quiz night on 8th February in the Waterloo Inn to raise some funds. Complimentary fingerfood, spot prizes and raffles are on during the night. Munster Junior Cup 4th Round: Kanturk A 0 Killarney Celtic 8; Park Utd A 4 Cloughjordan 1; Coachford A 5 Caherconlish 0; St Michaels 8 Greenwood A 0; Killumney Utd 1 Ballynanty Rovers 2; Janesboro 4 Kilreen Celtic 0. County Cup 1st Round: Innishvilla B v Los Zarcos (off); De Courcey Albion v Millstreet Celtic (off). Premier A League: Grattan Utd v Bohemians (off); Douglas Hall 7 Leeds 0; Innishvilla v Blackstone Rovers (off); Glen Celtic 1 Carrigtwohill Utd 0. AUL 1: Cathedral Celtic 4 Watergrasshill 1; Ballinhassig v Village Utd (off); Riverstown-Brooklodge Utd 3 Knockraha 2; Fairview v Lakewood Ath (off). AUL 1A: UCC 2 Grangevale 1; Rathcoole Rovers 0 Greenmount Rangers 4; Buttevant v Glenthorn Celtic (off); Glenvale v Richmond (off). AUL 2: Strand Utd v Macroom (off); Waterloo v Ballincollig (off); Donoughmore Ath v Killowen (off); Blackpool Celtic v CFC Banteer (off). AUL 2A: Central Rovers v Shandon Celtic (off); Hibernians v Corkbeg (off); Knocknaheeny Celtic v Leeview Ath (off); St John Boscos v Dunbar Celtic (off); City Wanderers v Hillington (off). AUL 3: Ard Na Laoi 1 Ballinhassig 1; Afton Villa v Castlelack (off); Parkview Celtic 1 Richmond B 3; UCC B 1 St John Boscos 2. AUL 3A: Dunbar Celtic v St John Boscos (off); Tower FC v Carrigtwohill Utd (off); Evergreen 2 Glen Celtic 3. AUL 3B: Bweeng v Glanworth Utd (off); Newmarket 2 Kanturk B 0; Casement Celtic v Greenmount Rangers (off). Hibernians FC are looking for a friendly on Sunday next - all weather pitched booked for 3pm. Anyone interested, please ring Terry @ 086-1519852. NOTICE FROM CASTLE HOTEL, MACROOM. I'm sure you receive numerous emails each week but this one really is worth reading! Are you planning a Social Event for your Soccer Club at the end of this Season? Would you like to publically thank all of your players & members for their great work during the year? Starter, Main Course, Dessert, Tea & Coffee from only €20.00 per person. A Castle Hotel Social Coordinator ie. One Name, One Number! Making your job easy! Re-live your season! Screen for Slide Show to recapture your highlights! As this offer is of such good value, we expect our available dates to fill quickly for 2013! Should you have any questions or wish to make a booking, I'd be delighted to assist you and you can contact me on 026 41074 or rachaelkohler@castlehotel.ie. 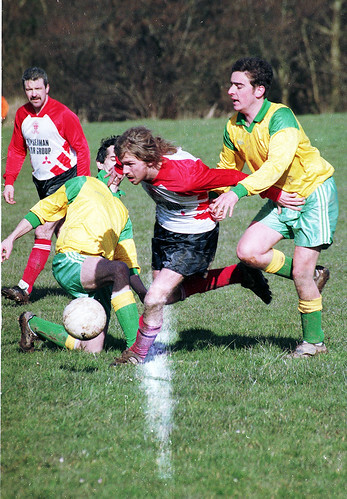 Bandon v Bcollig No 3 Mar 95 R237, a photo by CorkBilly on Flickr. Bandon v Ballincollig No 3 Mar 95 R237 Click on pic to see more photos from this period. to help Kids in East Africa. "After visiting Mukuru Slum in 2010 with Childaid I have decided to try and raise some more desperately needed Funds for the Kids in Nairobi. On March 3rd I am travelling to Nepal to Trek to The Everest Base Camp at an altitude of 5,364 metres (17,598 ft) in my Referees Kit. Right, I know some will say Charity begins at home. I agree, however when I was in Africa I witnessed DESPERATION beyond anything I ever saw. 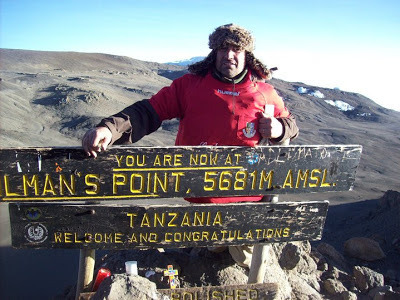 On my last night on Kili I after "washing" with Baby wipes only for 5 days, changed my socks & underwear which I disposed of in a bin. Shortly afterwards a local removed same and sneaked them into his pocket..... Now, that is poverty that we are lucky enough to have never seen. This is why I am so passionate about doing more to help these fellow Human Beings." Daly Industrial Supplies U17 Premier League: Mayfield United 3 Carrigaline United 0. Munster Youths Cup fourth round: Mayfield United 6 Castlebridge Celtic 0, St Mary’s 2 Clonakilty Town 1, Castleview 6 Abbeyfeale 0. Daly Industrial Supplies U18 Premier League: Blarney United 2 Fermoy 0. Daly Industrial Supplies U18 League 1: Avondale United 2 Cobh Wanderers 4, Buttevant 2 Carrigaline United 3, Kilumney United 3 Mallow United 2. Daly Industrial Supplies U17 League 1: Midleton 2 Wilton United 1. Daly Industrial Supplies U17 League 1A: Riverstown/Brooklodge 6 Carrigaine United A 1. Daly Industrial Supplies U19 League: College Corinthians 4 Bandon 5, Temple United 1 Midleton 3, Blarney United 8 Riverstown/Brooklodge 2. FAI Junior Cup 6th Round: O’ Devany Dunard FC 1 Pearse Celtic 2; Ballymun United 6 Richmond 0; Innishvilla 1 City United (Sligo) 1 (City United won 5-3 on pens aet). Corinthian’s Cup 1st Round: Innishvilla B v Watergrasshill (off). City Challenge Cup 1st Round: Glenthorn Celtic v Glen Celtic B (off); Afton Villa v City Wanderers (off). County Cup 1st Round: Carrigtwohill Utd B v St John Boscos C (off). County Cup 2nd Round: CFC Banteer 1 Kanturk B 3; Park Utd B 2 Castlelack 1 (aet). Macroom B 2 Tower FC 2 (Tower won 5-4 on pens aet); Killowen 1 Glanworth Utd 3. County Cup 2nd Round: Buttevant A 0 Rylane Celtic 3; Riverstown / Brooklodge Utd 2 Knockraha 1. Greenwood 1 Park Utd 1; Killumney Utd 5 Macroom 1. Leeds v Blackstone Rovers (off). AUL 1: Lakewood Ath 2 Cathedral Celtic 1; Fairview 3 Village Utd 2; Dillons Cross Ath 2 Ballinhassig 3. AUL 1A: Millstreet Celtic 3 Rathcoole Rovers 4; Glenvale 6 UCC 1; Grangevale 2 Greenmount Rangers 2. AUL 2: Strand Utd v Donoughmore Ath (off); De Courcey Albion v Waterloo (off). AUL 2A: Central Rovers 1 Hibernians 4; Churchvilla v Dunbar Celtic (off); Hillington 1 Corkbeg 1. AUL 3: Ard Na Laoi 1 UCC B 2; Parkview Celtic 1 Ballinhassig 2. AUL 3B: Greenmount Rangers 0 Newmarket 1; Los Zarcos v Coachford (off). All players on the AUL Panel are requested to be at Douglas Hall's Ground in Moneygourney next Wednesday night 16-Jan-13 at 7.30pm sharp for a challenge game on the night. Do you want to be in the running for the Murphy’s Irish Stout Team of the Month for December? Get your entries in to Henry Healy, 19 Inniscarra Road, Fairhill, before Friday, January 18th. Casement Celtic are looking for a friendly away next Sunday morning. Glen Celtic A are looking for a challenge game next Sunday morning (Away). Anyone interested, please ring Brendan @ 087-2030828. FAI Youths Inter-League Cup: Kerry District League 1 Cork Youth Leagues 4. Daly Industrial Supplies U18 Division 1: Buttevant 8 Douglas Hall A 1, Carrigaline United 3 Avondale United 5, Cobh Wanderers 0 Youghal United 1, Douglas Hall 7 Mallow United 3, Killumney United 4 Macroom 3. Teddy Healy Cup first round: College Corinthians A 0 Rockmount 4, Greenwood 1 Wilton United 2. Daly Industrial Supplies U17 Premier League: Avondale United 1 Carrigaline United 4, Ballincollig 1 Springfield Ramblers 6. Park United 3 Ringmahon Rangers 2. Daly Industrial Supplies U19 League: Carrigaline United 4 Leeside 2, College Corinthians 3 Blarney United 4. Corinthian’s Cup 1st Round: Innishvilla B v Watergrasshill, Knocknacurra, Innishannon, 2pm, L. Murphy. County Cup 2nd Round: Ballincollig v Richmond A, Regional Park, P O’Sullivan. Innishvilla A v City United, Venue Later, 2pm, D. Deady, A McDonagh, Tony Thompson. AOH Cup 4th Round: Glen Celtic A v Innishvilla A, Glen Park, D. Deady. County Cup 2nd Round: St John Boscos A v Richmond B, Water Rock Park, A. McDonagh. FAI Junior Cup 5th Round: Richmond 3 Keadue Rovers 2; Terenure FC 3 Park Utd A 2; Cappry Rovers 1 Innishvilla 3. AOH Cup 3rd Round: Macroom A 0 Killumney Utd 6. AOH Cup 4th Round: Glenthorn Celtic v Kilreen Celtic (off). Corinthians Cup 1st Round: Ballincollig 2 Buttevant A 4; Buttevant B 2 Greenmount Rangers A 6; Tower FC 0 Fairview 1; Afton Villa 0 Knockraha 3; Casement Celtic v St John Boscos C (off); Glenvale 1 Kanturk B 2. City Challenge Cup 1st Round: Shandon Celtic 5 Grangevale 0. City Challenge Cup 2nd Round: UCC A 1 Hillington 2; Lakewood Ath 3 Knocknaheeny Celtic 0; Village Utd v Parkview Celtic (off); Evergreen v Greenmount Rangers B (off); Greenwood B 2 Dunbar Celtic A 2 (Dunbar won 4-2 on pens aet); UCC B 2 Leeview Ath 2 (UCC won 6-5 on pens aet). Rathcoole Rovers 0 Ballinhassig A 1; De Courcey Albion v Millstreet Celtic (off); Watergrasshill 4 St John Boscos B 0. Premier League: Castleview v Pearse Celtic (off); Coachford 4 Greenwood 1; Blarney St Ath 3 Springfield 0. Premier A League: Douglas Hall 0 Glen Celtic 1; Carrigtwohill Utd v Grattan Utd (off); Kanturk 4 Blackstone Rovers 0; Leeds 0 Bohemians 4. AUL 1: Cathedral Celtic v Riverstown-Brooklodge (off). AUL 2: Macroom v Killowen (off); Donoughmore Ath 3 Blackpool Celtic 1; CFC Banteer 0 Waterloo 3. AUL 2A: Churchvilla v St John Boscos (off); Central Rovers v Corkbeg (off). AUL 3A: Glen Celtic B 1 Carrigtwohill Utd B 0; Dunbar Celtic v Carrigaline Utd (off). AUL 3B: Glanworth Utd 3 Rylane Celtic 5; Los Zarcos 0 Newmarket 6. The Management Committee of the Cork AUL would like to extend their deepest sympathy to Plunkett Carter on the recent bereavement of his brother Matthew. Premier A: Moneygourney on Friday night. Douglas Hall 0-1 Glen Celtic A.
Michael Peters' 35th minute strike seperated the two sides as Glen Celtic A grabbed three precious points following their 1-0 defeat over fellow title contenders Douglas Hall at Moneygourney on Friday night. In the overall scheme of things, Glen Celtic were deserving winners and certainly showed the most hungar over 90 minutes and if chances were to be counted, they could have won more comfortably.